Cruise effortlessly in the ultimate long distance electric mobility scooter. 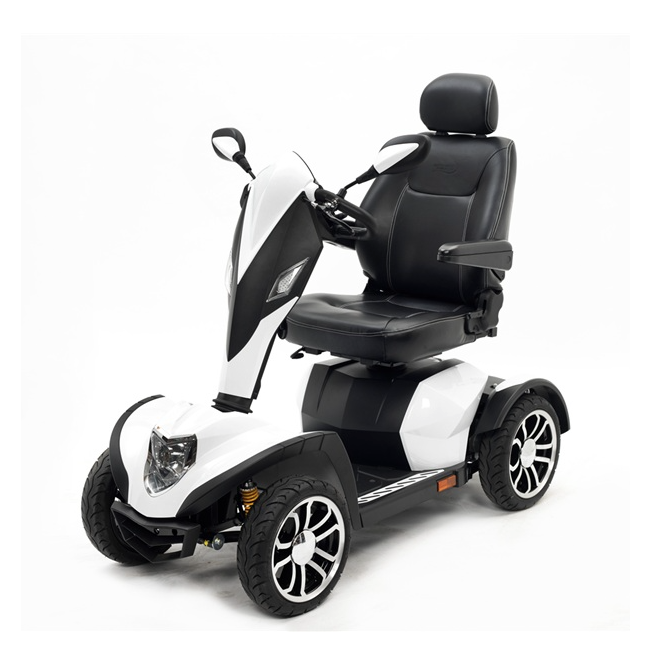 The Drive Medical Cobra is up there with the best mobility scooter designs available. Cruise in style, comfort, and support for an enormous 32 miles per charge. Comfort is provided by a fully adjustable captain seat and all-round suspension to soak up bumps on a variety of surfaces. Personalise your new mobility scooter with a choice of three colours. Red, white, or silver.